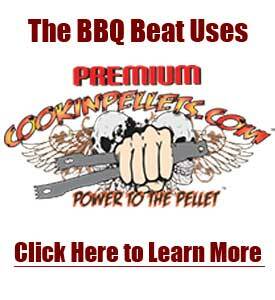 Competition BBQ teams start up each year with varying success. 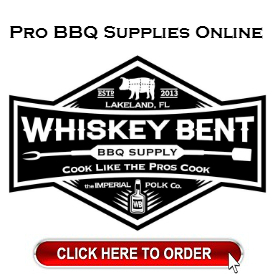 Some stay in the backyard division for a while, content to BBQ while drinking (you know who you are), others to hone their skills in the backyard division with their sights set squarely on going Pro, and still others who decide to be in it to win it from the get go at the Pro level. 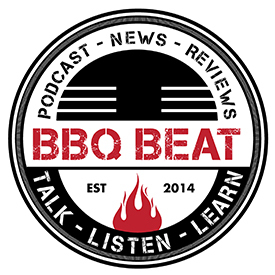 As you know by now, I’m a fan of shedding light on teams who have started to gain traction on the Professional BBQ circuit here at The BBQ Beat. As such, I’ve chosen to feature those who have made a conscious effort to refine their techniques and invest the time and money it takes to start seeing consistent results. 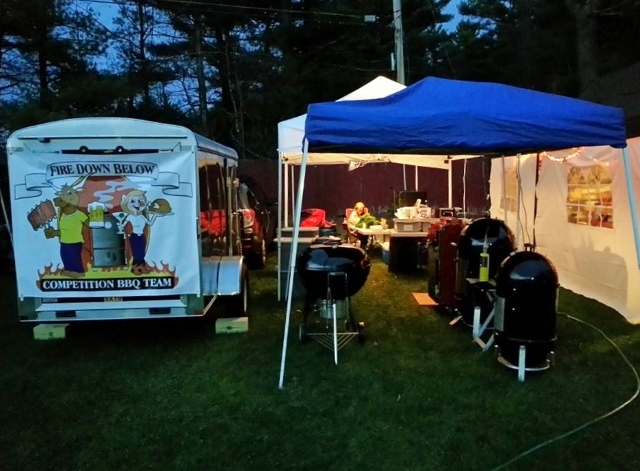 This competition BBQ spotlight post features Ed and Ginny Roach of Fire Down Below based out of Mansfield Massachusetts. 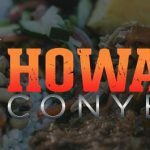 Fire Down Below competes in KCBS sanctioned competitions and are currently in their 3rd year of competing. 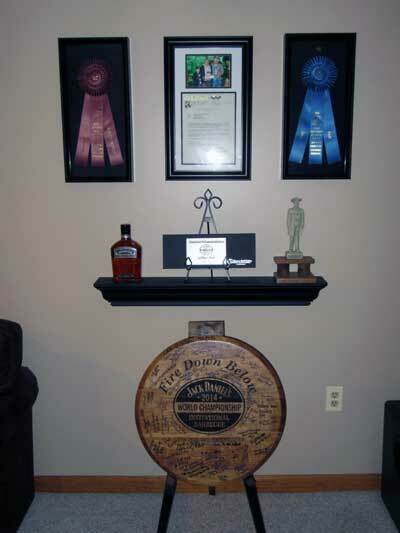 Ed and Ginny won their first Grand Champion and first Reserve Grand Champion awards. 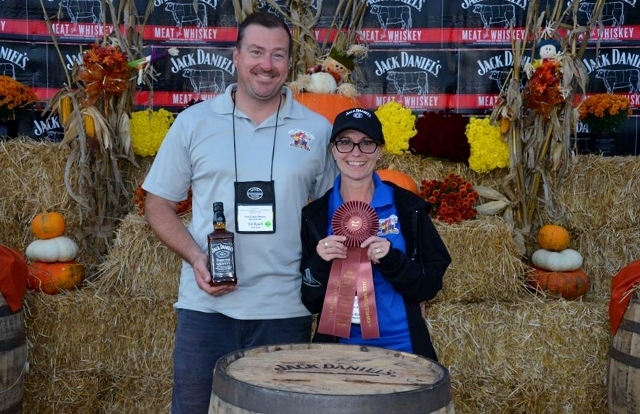 After winning the New Hampshire State BBQ Championships in 2014, they won the draw for the Jack Daniel’s World Championship Invitational where they earned a 1st place call in the pork category, with a perfect 180 score. To date, Fire Down Below has competed in 15 competitions total and have 9 overall top tens with 30 top ten category calls. 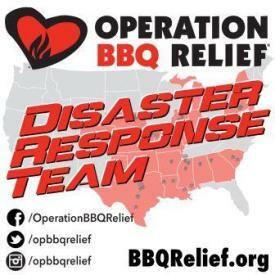 Not a bad beginning at all for this team, as I know a ton of teams who have been at it hard and fast on he professional BBQ competition circuit for much longer than three years and are still looking for their first Grand Championship. Here’s what Ed shared with me about what he and Ginny have learned over their first three years competing as Fire Down Below. We are a husband and wife team. 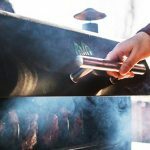 I’ve always loved BBQ and have cooked it at home for the past 15 years. Initially my wife wouldn’t eat it as she had been a vegetarian for years. 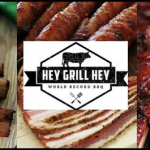 Over time, friends and family convinced her that she had to try it at least once and after trying a small sample she’s been eating meat ever since! 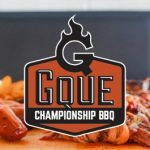 I’ve always thought about competing ever since purchasing “Paul Kirk’s Championship Barbecue” book, but didn’t jump in until a local team hosted a competition cooking class that I decided to take. 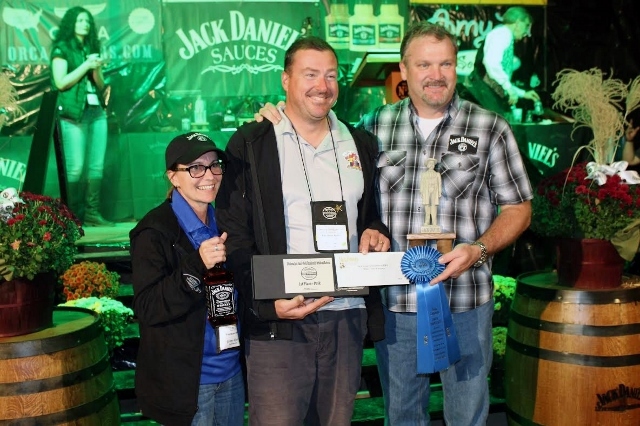 Fire Down Below BBQ Team winning top ten sauce at the 2014 Jack Daniel’s Invitational. 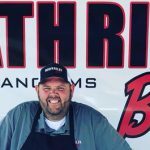 After taking the class, I entered a KCBS sanctioned competition that was close by in Merrimack New Hampshire, but had a hard time finding teammates. I asked a couple of guys I worked with who enjoyed cooking BBQ, but they were unavailable for that competition. I convinced my wife to help me that first time, but she said that she would help out only for that one contest and I’d have to find someone else after that. We finished in the middle of the pack overall, but got a 5th place call in brisket. My wife was so excited hearing our name called and walking up to the stage that she has been hooked ever since! 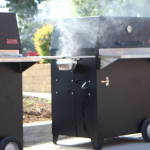 Our first two competitions we cooked on an 18″ and 22″ Weber Smokey Mountain and a Weber Jumbo Joe for chicken. We knew we were in this for the long haul and wanted to upgrade to insulated cookers since the spring and fall nights around New England can get fairly cold. 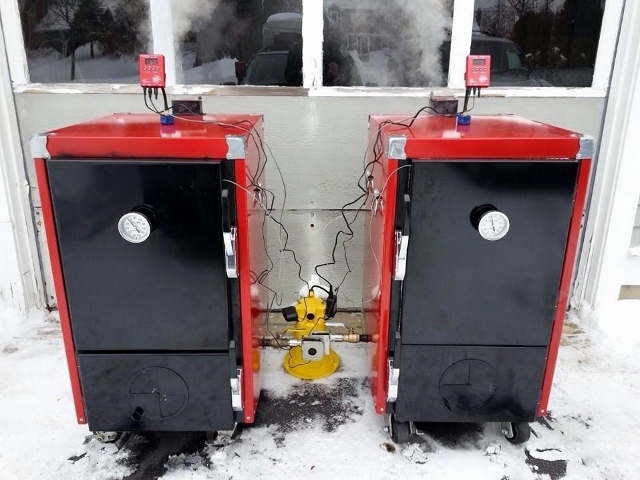 We wanted a cabinet style smoker and after looking at several different manufacturers and from recommendations we got from some other teams, we decided on a smoker made by a New England company, Humphrey’s BBQ out of Maine. 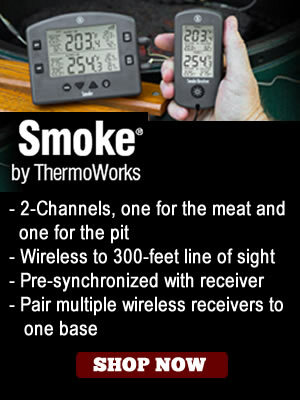 Initially we got a Battle Box and used that alongside the 22″ WSM. We liked the Humphrey’s so much that we purchased a second Battle Box and that’s the set up we are using now, 2 Humphrey’s Battle Boxes running DigiQ DX2 Temperature Controllers and a Weber Kettle . Practicing cooking the four categories over and over again along with researching recipes, tips & tricks are the things that have helped us the most in improving our placings in competitions. 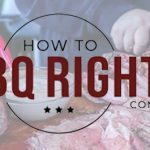 We search many of the most popular BBQ forums, such as the BBQ Brethren, looking for any tidbits that might help us improve our scores. 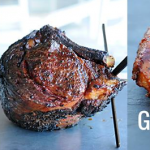 We’re constantly testing new sauce and rub combinations during the off-season that we think the judges may like. The easiest thing you can do to improve scores in a category is to make sure you make the turn in box as neat as possible. We believe taking a little extra time making sure your entry looks as neat and even as possible can not only improve your appearance scores, but may improve the other scores as well. We all eat with our eyes first. If it looks neatly placed in the box and looks like you can’t wait to dig in, it may have a positive effect on taste or tenderness scores as well. Usually if we think something looks good, in our minds it is good! I spoke with Ed about the dip in scores Fire Down Below saw starting with their second competition this year (2015). He explained that this was a result of maybe tinkering a bit too much with their flavor profiles during the off-season. 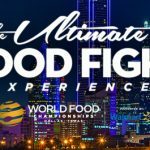 They hit during the first competition of 2015 — finishing 5th overall, but finishes dropped considerably for their 2nd and 3rd cook this year. After taking stock of the situation, getting some insight on taste from their son who had just returned home from college for the summer, Ed and Ginny decided to revisit their initial flavor program from last season. The plan worked. 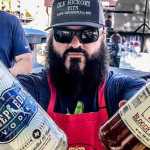 By going back to what worked previously with just a few minor tweaks, Fire Down Below’s scores improved dramatically — so much so that they finished in the top ten overall at their next KCBS BBQ competition. Additionally, if you enjoyed this post – please share it with others using the social media share buttons you see here.